Catherine Bell (1953 – 23 May 2008) was an American religious studies scholar who specialised in the study of Chinese religions and ritual studies. From 1985 until her death she worked at Santa Clara University's religious studies department, of which she was chair from 2000 to 2005. Born in New York City, she studied at Manhattanville College and University of Chicago Divinity School before briefly teaching in Japan at the Seishin Joshi Gakuin and International University of Japan. Returning to the United States, she began work at Santa Clara in 1985, devoting her research to Chinese ritual, resulting in her most prominent publication, Ritual Theory, Ritual Practice (1992). In 1998 she became the Bernard Hanley Professor of Religious Studies, before becoming chair of the religious studies department in 2000. Retiring due to persistent health problems in 2005, she continued to research until her death. Born in New York City, Bell undertook her undergraduate studies at Manhattanville College, gaining a double-major BA in philosophy and religion in 1975. She proceeded to complete her MA in the History of Religion at the University of Chicago's Divinity School in 1976, continuing with a PhD there, completed in 1983. Moving to Japan, she taught at the Seishin Joshi Gakuin in Tokyo from 1982 to 1983, before moving to the International University of Japan in Nigata in 1983. She then undertook a post-doctoral fellowship for Chinese language study in Taiwan. Covering the costs for her international research, she obtained award fellowships from the Mellon Foundation, the American Council of Learned Societies, and the National Endowment for the Humanities. Becoming a fellow of the Center for Chinese Studies at the University of California, Berkeley, and involved in their Chinese Popular Culture project, her studies of ritual praxes in Chinese religions led to her book Ritual Theory, Ritual Practice, published in 1992. In 1985 she began work at Santa Clara University. Focused on teaching undergraduates, courses she ran included "Ways of Studying Religion," "Asian Religions," "Magic, Science and Religion," "Time and the Millennium" and "Religion and Violence," each of which she based around a core intellectual question. Involved in restructuring the department's curriculum, in 1996 she was awarded the Brutocao Award for Excellence in Curriculum Innovation. She was also involved in the creation of a Women's Faculty Group and Faculty Development Program to aid junior members in the department. In 1998 she was named Bernard Hanley Professor of Religious Studies, that year being awarded the College of Arts and Sciences' Beyma Research Award. In 2001 she was then awarded the President's Award for distinction. Bell served as chair of the department from 2000 to 2005, then stepping down to become professor emeritus; she took early retirement due to an inability to cope following her diagnosis with multiple sclerosis in 2000. In 2005, the University of Chicago Divinity School named her "Alumna of the Year", on their website praising her as "a great scholar and teacher... [and] a skilled administrator". She began work on a new project, Believing: Assuming Universality, Describing Particularity in the Study of Religion, funded by another fellowship from the National Endowment for the Humanities, but it was left unfinished at the time of her death. Her unfinished manuscript, titled Believing and the Practice of Religion, was later stored in Santa Clara's university library. Bell died aged 55 on 23 May 2008, after a long illness. She was survived by her mother, sister, three brothers, and husband, Steven Gelber, who was a professor of history at Santa Clara. The chair of the Santa Clara religious studies department, Paul Crowley, described her as "a magnificent colleague, a scholar of international standing, [and] an inspiring mentor to generations of students". Historian of religion Reza Aslan asserted that she would be remembered for generations to come due to her "rigorous scholarship", and that she was "unmatched" as an academic. Having known her personally, Aslan also commented on her "razor sharp wit, her boundless compassion, and refusal to accept anything but the best from her students." The work was published in two editions, the original Oxford University Press edition in 1992, and an edition also from Oxford University Press in 2009 with a new prologue, which is also available in electronic versions. Both editions share the same pagination. Religious studies scholar Diane Jonte-Pace opined that the book "changed the framework for understanding the nature and function of ritual", constituting Bell's "greatest contribution" to religious studies. 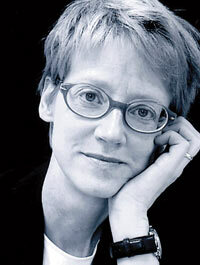 Having known Bell personally, Jonte-Pace thought that the book exhibited her "fearless intellectual style" and "sense of freedom" from past frameworks. Historian of religion Reza Aslan claimed that it "launched a revolution" in the way that scholars understood the subject, becoming "required reading" for students of religious studies. It was awarded "Best First Book in the History of Religions" from the American Academy of Religion in 1994. Because of the importance of this work for the field of ritual studies, a survey of the work is in order. The book is organized into three major sections: "The Practice of Ritual Theory" (chapters 1-3), which generally surveys the prior work in the field and situates Bell's book in that context; "The Sense of Ritual" (chapters 4-6), which develops the concept of ritual in terms of bodies and the external systems within which they work; and "Ritual and Power" (chapters 7-9), which frames the discussion of ritual in society, with the attending questions of power and authority. Bell’s presentation maintains the notion that ritual, political power and legitimation of power are three interdependent theories. Historically, ritual was cast as a mere “artifice” used to conceal the "brute exercise of real power". Thus sacred kingships throughout the past centuries used ritual as a tool to install hierarchy and fulfill political agendas. She invites the readers to question ritual as no longer a self-fulfilling tool but also a power tool for mass governance. Ritual constructs an argument, all while maintaining social order. It does not ‘disguise the exercise of power’ - it is in itself the power. ^ a b c d e f g h i j k l m n o p Santa Clara Magazine 2008. ^ a b c d Divinity School 2004. ^ a b c Jonte-Pace 2009, p. viii. ^ a b Jonte-Pace 2009, p. ix. ^ Jonte-Pace 2009, p. x. ^ Aslan 2009, pp. vii–viii. ^ Jonte-Pace 2009, p. vii. ^ Aslan 2009, p. vii. ^ Bell, Ritual: Perspectives and Dimensions. Oxford: Oxford University Press, 1997, ix. "Alumni of the Year". The University of Chicago Divinity School. 2004. Archived from the original on 19 April 2013. "In Memoriam". Santa Clara Magazine. 2008. Archived from the original on 19 April 2013.